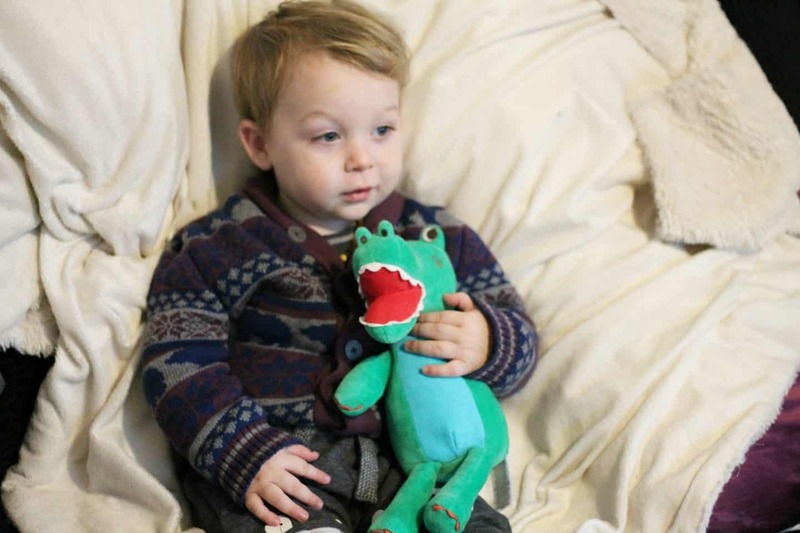 Frugi, known for their organic cotton kids clothes and bedding have branched out recently into cuddly toys, cleverly named Frooglies! 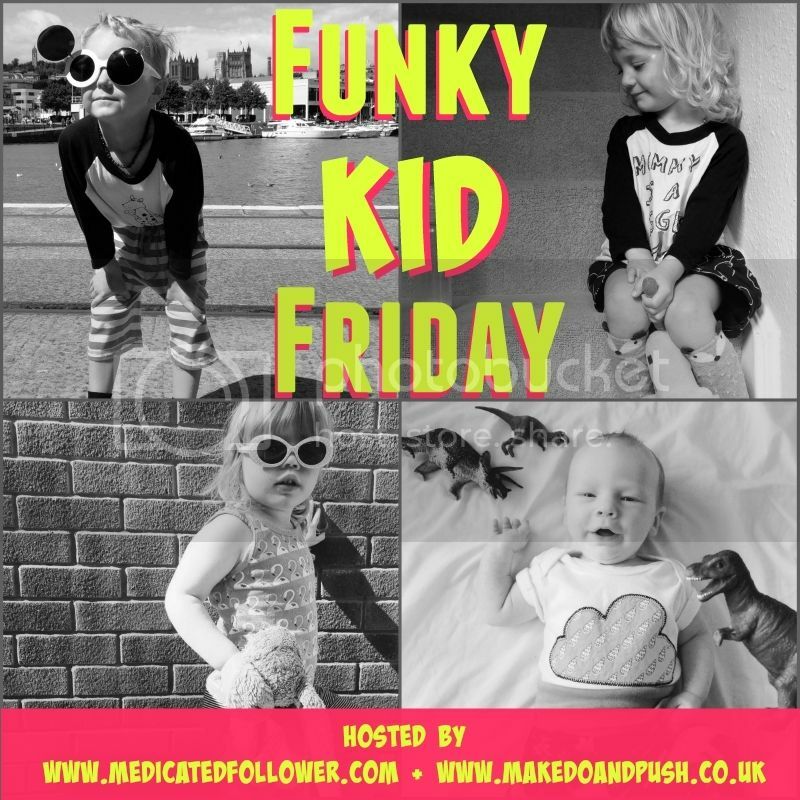 as part of the #FrugiFamily Arlo was sent his very own Frooglie and a pair of snowman print parsnip pants! They arrived in a gorgeous presentation bag, so no extra wrapping required! 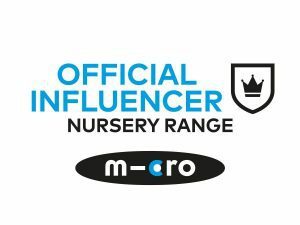 The Frooglie range consists of cuddly toys and comforters, soft and snuggly and perfect for little ones. The larger toys have lots of different textures, crinkly bits and happy faces. There is a crocodile, a leopard and and an giraffe to choose from. 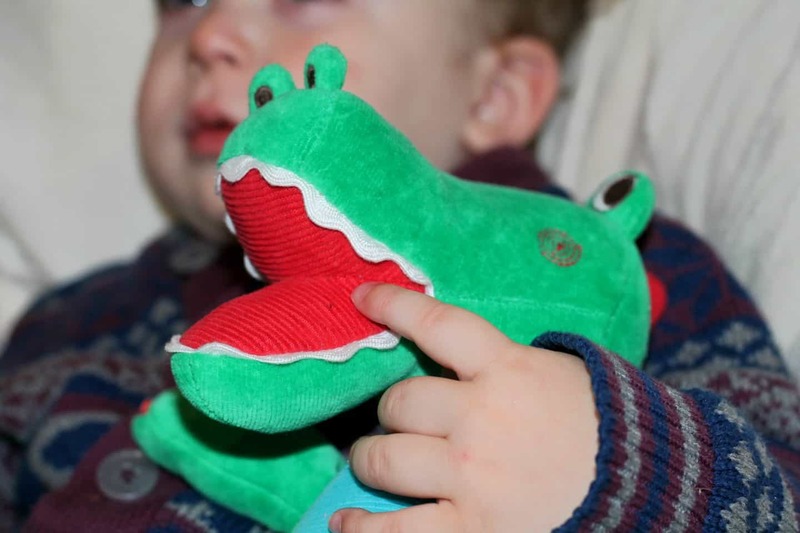 We’ve got the Crocodile and Athena has named him Snappy, though he’s officially called Doodle! He’s stuffed with recycled polyester and is machine washable. There is also a matching snuggle baby velour sleepsuit available for each of the Frooglies, the perfect new baby gift! The parsnip pants are absolutely perfect for festive feasts, a lovely wide fold down waist band (I’d quite like to don a pair myself after the Christmas meal!) as well as festive frolicking. The baggy cut means they are loose and let Arlo move freely, with lots of stretch. 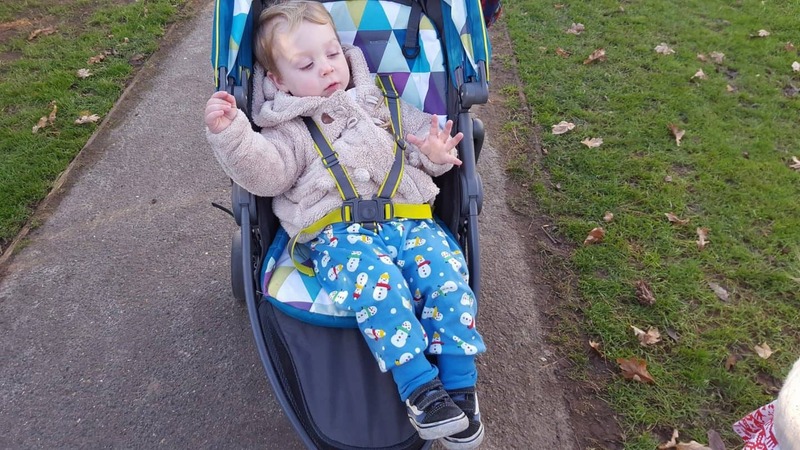 Fold up cuffs mean they last a long time in terms of growth and we’ve been folding through cuffs down over the tops of Arlo’s shoes to stop draughts round his ankles! The fun snowmen have had a lot of comments, he wore them to a Christmas fete at the weekend and even Santa commented on them! Thanks for following our Frugi Family project over the last year – we’ve teamed up with Frugi to offer you a chance to win this fab Frugi Christmas Hamper. All you have to do is Click here and enter your details to be put into the draw- it’s easy! The competition is open from today until Thursdays 15th Dec at midnight. 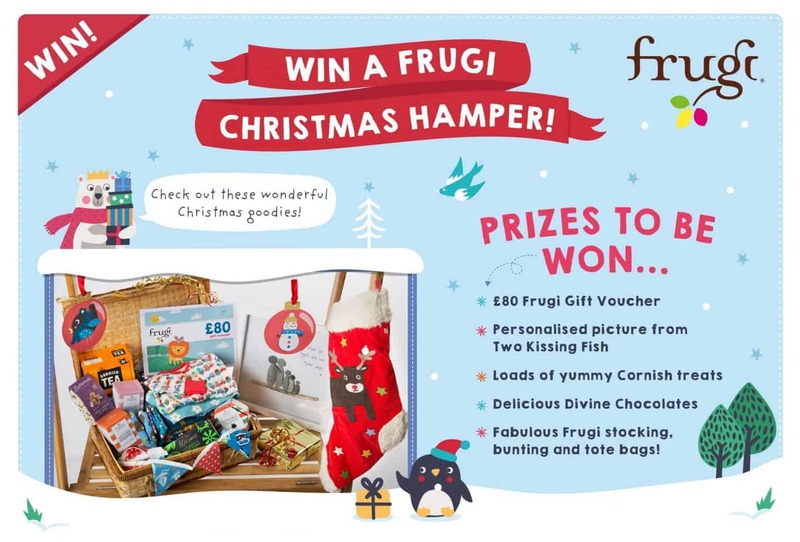 The winner will be drawn on Friday 16th Dec and contacted by Frugi via email, they will then pop the hamper in the post in time for Christmas! 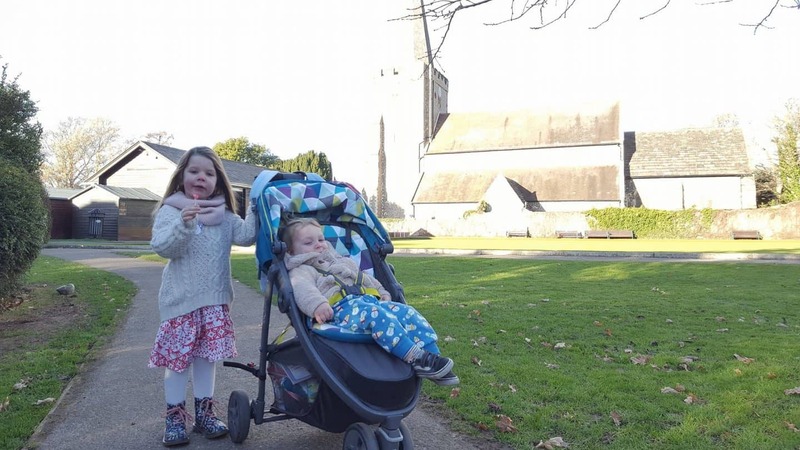 As ever I’d love it if you would head over to see what Amber & Kirsty at Goblin Child are featuring with their two adorable sets of twins! Ha, I would quite like a fold down waist as well! I keep saying it, but I just love their bright colours. Makes children’s clothing so fun, as it should be.